Images hint that the appearance of new items is different from the same car in China. For the European, Kamiq will provide a completely different front body part with the radiator and the 2nd head optics, like the concept of Vision X 2018. Make Skoda Kamiq on the version of the modular base MQB-A0. It turns out, the dimensions in length of the novelty will reach about 4200 mm, width - 1750 mm, height - 1600 mm. 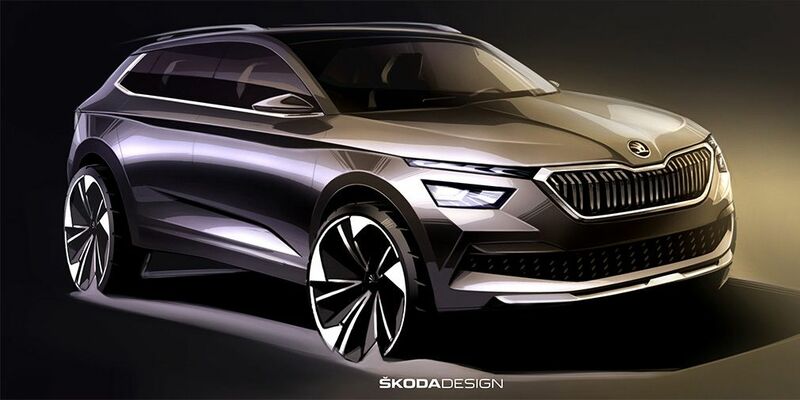 Perhaps among the engines at the Skoda Kamiq will appear units from the Volkswagen T-Cross. There may be 3-cylinder supercharged engines on gasoline with the power of 95 and 115 horsepower.